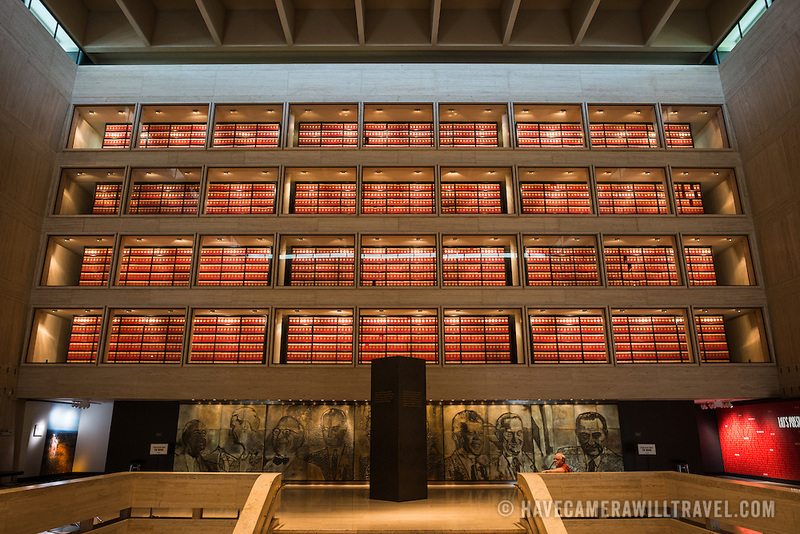 A central internal atrium at the LBJ Library displaying the spines of red archival boxes through glass windows. The LBJ Library and Museum (LBJ Presidnetial Library) is one of the 13 presidential libraries administered by the National Archives and Records Administration. It houses historical documents from Lyndon Johnson's presidency and political life as well as a museum.